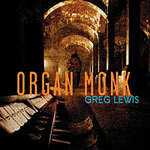 New York native, keyboardist Greg Lewis, a highly accomplished mainstay on the city's jazz, blues and funk scenes, who has earned a solid reputation for his versatile work around town in a vast variety of settings, steps out front for the first time on his debut CD Organ Monk. Lewis' sensitive and soulful keyboard playing has made him a favorite among some of the music's finest vocalists - including blues queen Sweet Georgia Brown, jazz and soul songstress, Lezlie Harrison and ex-Brooklyn Funk Essentials singer / songwriter Stephanie McKay -- and earned him a featured role on saxophonist Sam Newsome's Groove Project recording 24/7. 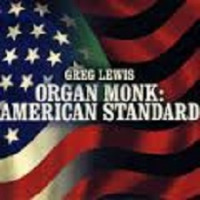 Now on Organ Monk the spotlight is finally shined on his enormous talents as the leader of his own all-star trio featuring multitalented guitarist Ron Jackson and drummer extraordinaire Cindy Blackman. Working weekly for the past five years at the hip Brooklyn club Night Of The Cookers, with his regular trio featuring Ron Jackson on guitar, Lewis has honed his skills on the B 3 to become one of New York's first call organists. It was at the club that he first met drummer Cindy Blackman, who was so impressed with his playing that she sat in with the group and made arrangements to later perform with Lewis. An unwavering fan of the Tony Williams Lifetime group, featuring Larry Young on organ, Blackman is the perfect complement for Lewis', who names Young as his primary influence on the instrument (along with, of course, Jimmy Smith as well as Sly Stone). 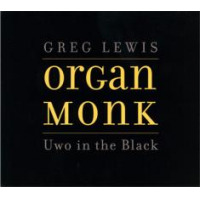 Lewis cites Young's landmark interpretation of Monk's Dream from the classic Unity album as a further inspiration for his decision to devote this his first date to the music of Thelonious. All About Jazz musician pages are maintained by musicians, publicists and trusted members like you. Interested? Tell us why you would like to improve the Greg Lewis musician page.